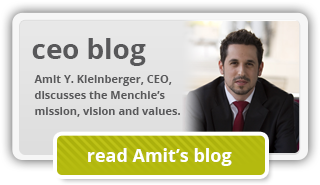 If you’ve been considering a business that’s not only family-friendly but will help you build something lasting for your own family, choosing a frozen dessert franchise like Menchie’s may just be the perfect solution. Here’s a quick look at how Menchie’s fits the bill on all three of those points. First of all, our ease of operations mean you don’t have to come to the table with restaurant experience or a background in any other specific industry. We’ll guide you through every step you need to understand how to run your own Menchie’s franchise, including training you at Menchie’s University near our headquarters in Sherman Oaks, CA. Our smiling team friends will show you how we consistently deliver on superior guest care. Menchie’s is the family business you can be proud of, a place where you can build a legacy that your own kids can take over someday. Menchie’s is more affordable than you think. According to Item 7 of our 2016 Franchise Disclosure Document, the startup cost range is between $229,557-$425,310, with an average of around $325,000. Franchise candidates need to have a minimum of $100,000 in liquidity, and $250,000 in net worth. These costs are far less than typical foodservice franchises, making Menchie’s more accessible to the owner-operator investor. As for making a difference in your community, think of all that Menchie’s can provide. We’re not merely a frozen dessert brand where people can satisfy their sweet tooth with a delicious treat; we are a place where family, friends and loved ones can gather to relax, unwind and reconnect with one another. We’re a place where people can bring kids to celebrate a birthday, couples can spend a fun date night and teenagers can hang out after school. As a franchisee, you can get involved in your community, sponsoring local sports teams and supporting the charities and causes that matter most to your family. 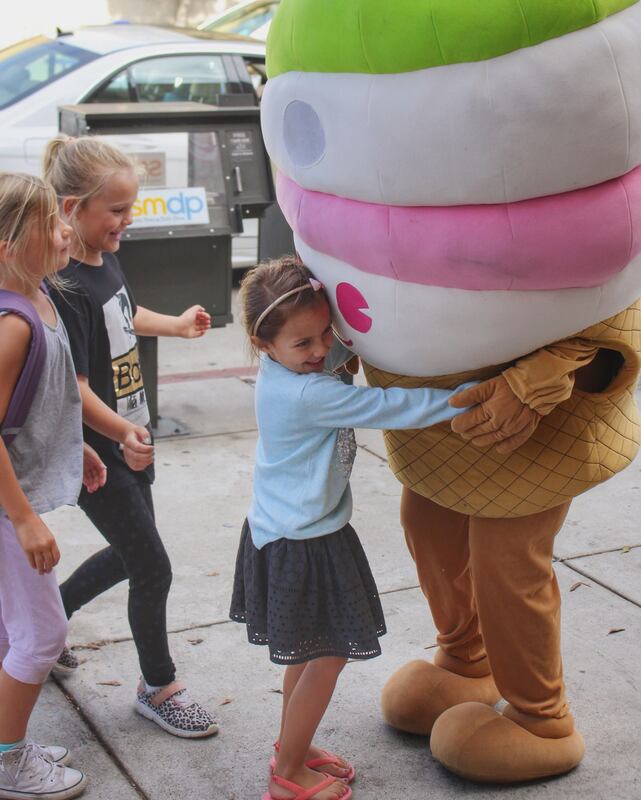 Your community will thank you by supporting Menchie’s in return. We’re an award-winning international franchise with proven staying power. We serve a line of high-quality, great-tasting frozen yogurt in over 100 rotating flavors in our Private Label Collection that include nonfat, no sugar added, gluten-free and dairy-free varieties. Guests can choose from 70-plus toppings to personalize their mix. We source our milk from California cows raised on a family-owned farm where bovine growth hormones are not used. Some of our flavors are certified kosher as well. It’s a product line you can feel great about, especially when you consider that we’re providing so much more. We’re creating an experience, helping people build memories. We’re providing something that will never go out of style: a family-friendly place to relax, reconnect and share smiles. 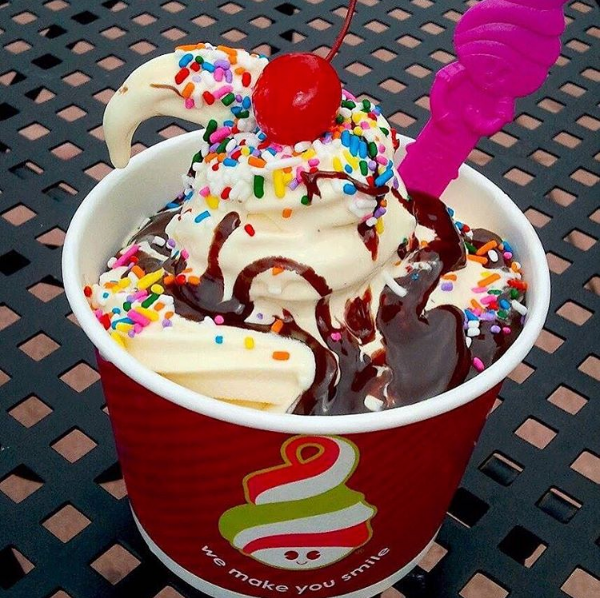 Guests can personalize their Menchie’s mix any way they like, with or without a cherry on top. If you’d like to learn more about opportunities to own a frozen dessert franchise with an experienced brand that has 500 units worldwide, we would love to hear from you. You can explore our research pages or fill out the form on this page to download our free franchise report.